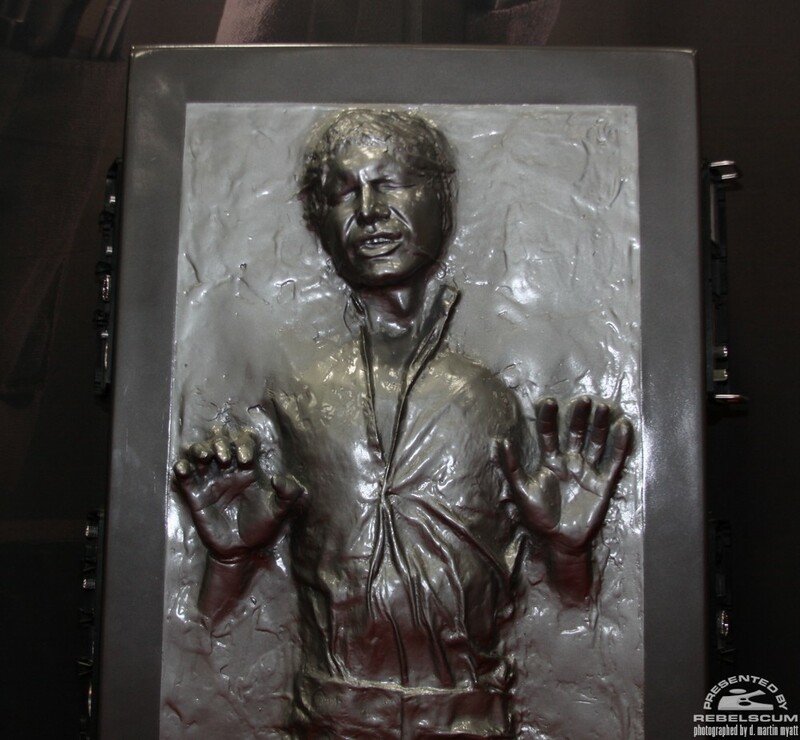 There have been rumbles about this for a long time, but Sideshow finally previewed its life-sized Han in Carbonite figure at SDCC a few days ago. 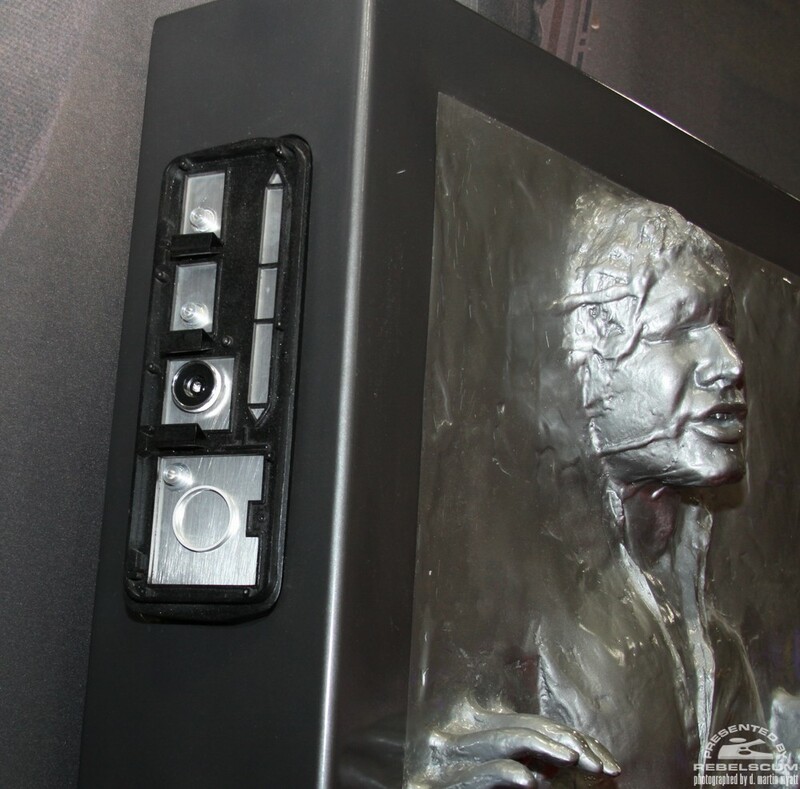 Below are some shots taken from Rebelscum’s coverage of SDCC. Click for a larger view. I was holding off posting about this because I wanted to get some concrete price info, but it looks like the price hasn’t been entirely decided yet. However, a Sideshow employee did mention the figure $7,500 to someone on the Rebelscum forums. That price seems incredibly high, but I’m afraid it’s probably more or less accurate. 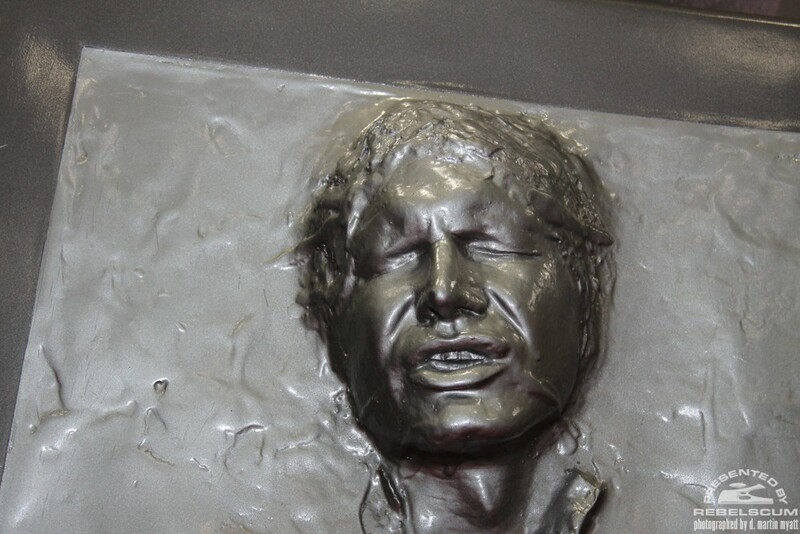 You can get fan-made versions of Han in Carbonite for a fraction of this price, and even the Illusive Concepts version can be had for less than this on the secondary market. Before you ask, no I do not intend to buy this one. It’s much too expensive and I have no place to display it. And while it could fit into my Jabba focus, it’s not a perfect fit. 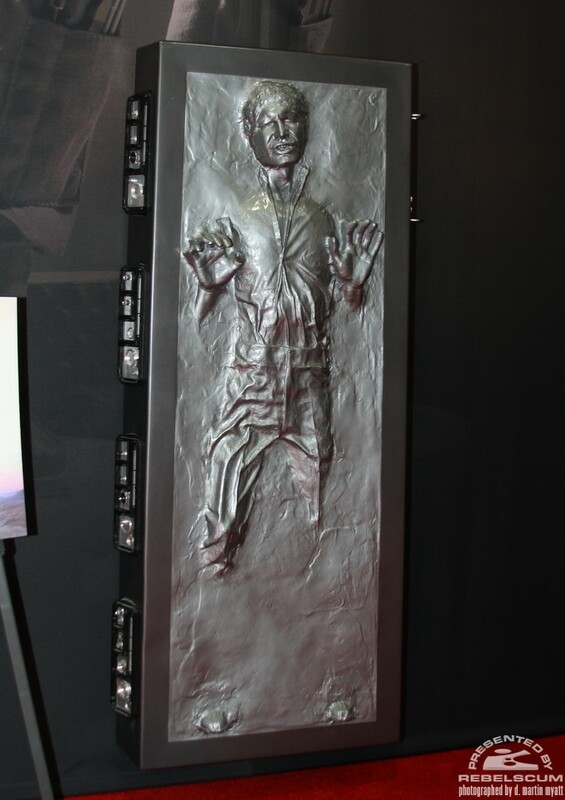 I generally collect Han in Carbonite stuff when it is part of a larger line of figures or statues, not as standalone pieces (although I do sometimes make exceptions, like for the Han in Carbonite throw blanket, which is awesome). I have also sworn off big expensive pieces like this since a disappointing experience with Sideshow’s life size C-3PO figure (which I subsequently sold). But still, it’s interesting to hear about things like this. I’m really not a fan of this. I much prefer the 1:6 or 1:4 version.